18 March 2018, Quezon City, PhilippinesꟷUP-CIFAL Philippines’ Board of Representatives gathered for the 3rd annual meeting. Present at the meeting were UP System Executive Vice President Dr. Ted Herbosa (representing UP President Atty. Danilo Concepcion), United Nations Resident Coordinator Ola Almgren, Philippine Business for Social Progress President Bro. Armin Luistro, Scalabrini Migration Center Director Dr. Marla Asis, Prof. Raymund Rosuelo from the Commission on Human Rights (representing Commissioner Gwen Gana), Quezon City Public Employment Service Office (representing Quezon City Mayor Herbert Bautista), and UP-CIFAL Philippines Director Dr. Edna Co. 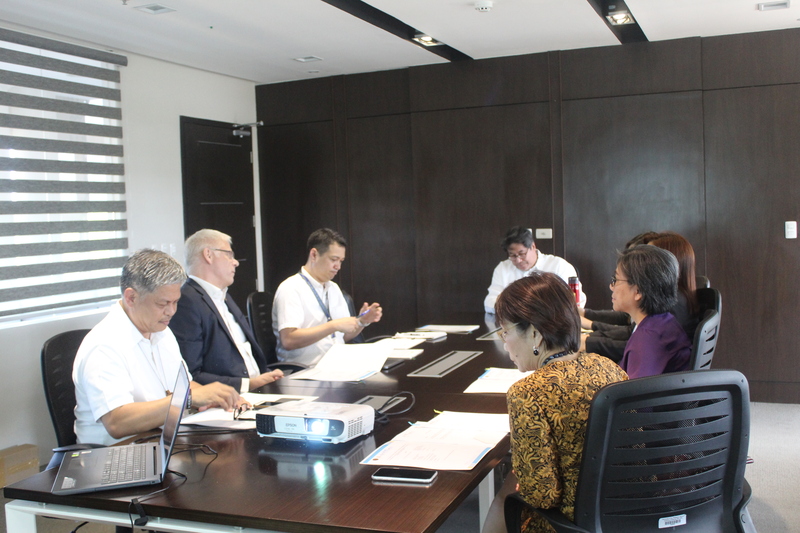 Among the agenda were the 2018 programs and financial report, proposed activities and budget for 2019, and the renewal of agreement between the United Nations Institute for Training and Research (UNITAR) and the University of the Philippines (UP). The Board endorsed the proposed renewal of agreement with UNITAR with new provisions on personnel requirements, subject to the review and approval process required by the UP Board of Regents. The Board discussed some of the proposed major activities for 2019, such as the launch and pilot offering of the Certificate Course on Global Migration in the second quarter of the year, a high-level conference on Global Compact for Migration in December, and the online comparative study on the prevalence of forced labor and exploitation of overseas Filipino workers in collaboration with U.S.-based private organization Global Fund to End Modern Slavery. UP-CIFAL Philippines will continue to do capacity building of national and local authorities and selected youth groups on sustainable development. In 2018, the total number of beneficiaries reached 2,007ꟷa 165% increase from 2017 (756 beneficiaries). Of the 2,007 beneficiaries, 61% are female, while 39% are male. Sixty one percent of the activities are categorized as learning activities (e.g, research, special elective course, and forums), while 39% are non-learning activities (e.g., round table discussions and consultations). The academe (64%) and the local government (25%) make up the bulk of the learning activities’ beneficiaries.